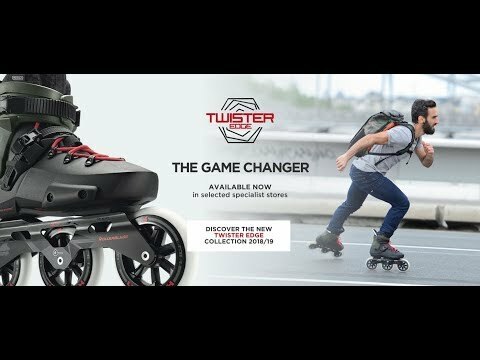 Designed for skating anywhere and packed with performance, comfort and style comes the Rollerblade Twister Edge X Urban Skates. The Twister Edge X has an enhanced wrapping molded shell design for a snug and responsive fit that is adjustable thanks to the ratcheting buckles at the cuff and midstrap. There is a Premium High Performance Antimicrobial liner that is contoured to give you ideal comfort and an instant heel lock for a comfortable and secure fit. The Twister Edge X was built for the streets so they are highly durable and there is an integrated Shock absorber in the heel that will reduce vibration from the road. There are 80mm wheels with an 85A durometer that will give you a touch of speed as you maneuver the streets. Q: I measured my foot, tracing my "larger" foot on a sheet of paper and using a ruler and tape measure, and the length comes out to about 30.3 cm and the width at about 12 cm. will the size 13 be too small? if so is there any way to get these in a larger size? I really want these, but don't have a store to try them out in! I currently ride size 13, 31 cm, zetrablades that are a bit too roomy for me. Thanks! Q: What is the k2 equivalent of these? Q: Hi I am wondering what advantages these have over the maxxum edge 90 other than slightly better bearings and wheels? A: The Twister edge has 80mm wheels instead of 90mm wheels and are more a straight urban skate. The Maxxum teeters the line between urban and fitness. I'd pick these over the Maxxum if I was skating in a city setting and need to be able to maneuver in tight situations, I'd choose the Maxxum if doing more long distance skating where maneuvering on a dime is less of a concern. It really comes down to what type of skating you are doing, both are fantastic skates. Q: What about size on web site? I cant choose. US or UK?? A: These are sized in US sizing, please click on the size chart link located near the sizes listed on the page to view the size comparison. Q: Do you ship these Blades to the Europe? Because i can find the option. I would like to buy them. A: For international delivery please add the desired items to your cart then choose the international delivery option when in the checkout. Q: What's the difference between the 2018 and 2019 versions? A: Just a change in color. 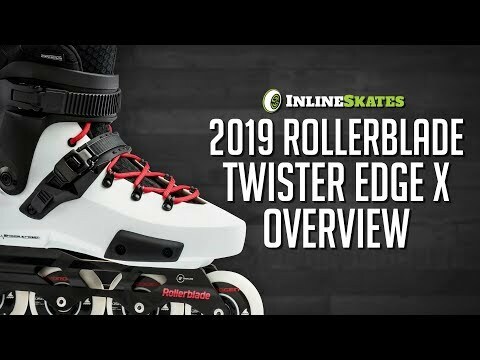 Q: Are these skates the 2019 or 2018 version? They look identical to the 2018 except for color, and this color does not exist on Rollerblades official site. I'd like to purchase, but not if a newer skate is around the corner! A: These are the brand new 2019 version of this skate. Rollerblade doesn't have them listed on their own site yet but we do.